Pennsylvania is the 33rd most extensive, the 6th most populous, and the 9th most densely populated of the 50 United States. The state’s four most populous cities are Philadelphia, Pittsburgh, Allentown, and Erie. The state capital is Harrisburg. Some of the largest U.S. companies, including Sunoco and Comcast, maintain their headquarters in Pennsylvania. Sate major industries are manufacturing, education, and agriculture. Names of Pennsylvania corporations must be distinguishable from that of any domestic or foreign corporation registered in the state. Company Express will research your company name to make sure it meets Pennsylvania’s standards. Required documents: Articles of Incorporation as well as a Docketing Statement. Turnaround time: About 10-15 business days. Corporation’s principal office must be located inside the state. Local registered agent is required. Time to file: Pennsylvania does not require corporations to file an annual report separate from the Corporate Tax Report. 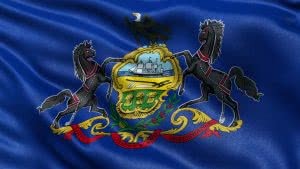 Names of Pennsylvania Limited Liability Companies must be distinguishable from the name of any domestic or foreign LLC registered in the state. Company Express will research your company name to make sure it meets Pennsylvania’s standards. Required documents: Certificate of Organization and Docketing Statement. LLC’s principal office has to be located inside the state. Local registered Agent is required. Time to file: Pennsylvania does not require LLCs to file an annual report.